IRAs and 401(k) plans have separate contribution limits. 1. Can an Individual Make Both IRA & Simple IRA Contributions? 2. Can I Contribute to an IRA the Same Year Job Terminated With a 401(k)? Taking advantage of multiple types of qualified retirement plans, such as 401(k)s and individual retirement accounts, allows you to save more tax-sheltered money for the future. If you work for a company that offers a 401(k) plan, contributing to the 401(k) won't affect your ability to contribute to your IRA, but might affect your ability to deduct the contributions. The limits for 401(k) plan contributions and IRA contributions do not overlap. As a result, you can fully contribute to both types of plans in the same year as long as you meet the different eligibility requirements. For example, in 2013, if you're 50 or older you can contribute up to $23,000 to your 401(k) plan and up to $6,500 to your IRA. If you're not 50 yet, the limits are lower: $17,500 for 401(k) plans and $5,500 for IRAs. However, if you have multiple 401(k)s, the limit is cumulative for all of them put together. The same goes for IRAs. If you put your entire contribution limit in your Roth IRA, you can't contribute to your traditional IRA. Your 401(k) plan contributions are limited to the amount of compensation you earn at that particular job, so if your earnings are less than the annual contribution limit, you can't max out your 401(k). For example, suppose you have a part-time gig that pays you $10,000 and offers a 401(k) plan. Even if you have another job that pays you $100,000, but doesn't offer a 401(k) plan, you can't put in more than $10,000 to the 401(k) plan at your part-time job. Traditional IRAs don't let you contribute if you're 70 1/2 or older by the end of the calendar year. In addition, if you're also contributing to a 401(k) plan, you aren't allowed to deduct your traditional IRA contributions if your modified adjusted gross income is too high. These limits include phaseout ranges, which limit the amount of your deduction based on your income. For example, in 2013, if you're single, your maximum traditional IRA deduction starts dropping when your MAGI hits $59,000. When you reach $69,000 or higher, you can't deduct any of your traditional IRA contribution. For joint filers, the phaseout range goes from $95,000 to $112,000. 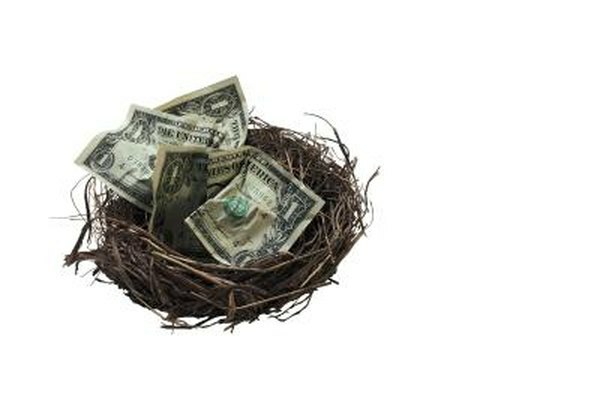 Roth IRAs, unlike 401(k) plans, limit who can contribute based on your modified adjusted gross income. If your MAGI is too high, you're not allowed to make a Roth IRA contribution for the year. Like the traditional IRA deduction income limits, the Roth limits include phaseout ranges. For example, in 2013, if you're married filing jointly your Roth IRA contribution limit starts to fall when your MAGI hits $178,000 and disappears at $188,000. For singles, it starts to phase out at $112,000 and is completely eliminated at $127,000. On the bright side, Roth IRAs don't have age limits.